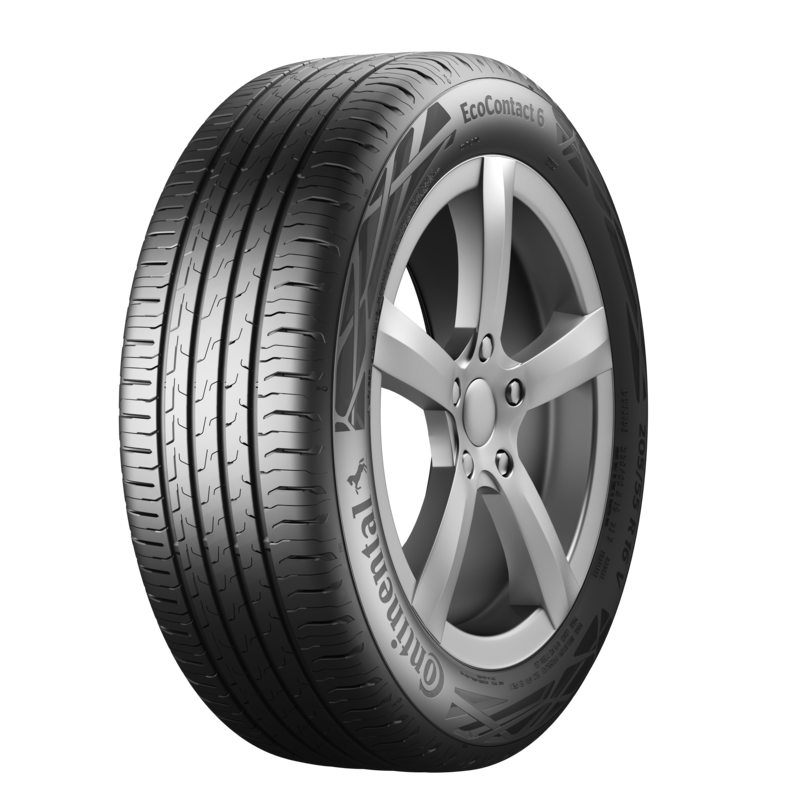 With the new EcoContact 6 car tire, Continental has launched a high-tech summer tire that delivers substantial improvements in terms of rolling resistance, mileage, steering precision and braking distances. Compared to the predecessor model, the newcomer offers 20 percent higher mileage, 15 percent lower rolling resistance, even more precise handling and shorter braking distances on wet and dry roads. Continental has already received approvals from 12 European vehicle manufacturers for factory-fitting of the EcoContact 6 on subcompact to mid-range cars. The new summer tire is a high-tech product designed to meet stringent requirements in terms of safety, precision handling, high mileage and low fuel consumption. To enable what is a very large development step for the tire industry, the engineers at Continental studied every component of this high-tech tire, looking for possible optimizations. They redesigned the silica compound for an even more balanced distribution of the chemical components, resulting in even stronger bonding of the polymers in the compound and lower deformation of the tire while driving. This has led to a significant overall reduction in rolling resistance, which in turn cuts fuel consumption. They also introduced innovative additives to the compound to help the contact patch adapt even better to the road surface. This enables more effective transmission of braking forces and the good tire/road contact means less wheelspin and more mileage. The product of these two innovations in the compound goes by the name of GreenChili 2.0. Depending on the tire size, the developers have chosen a tread pattern with three, four or five ribs. With this customized solution, the tire can deliver good grip and precision handling all the way to its physical limits. The very balanced ratio between tread ribs and grooves also helps channel water into the tread grooves when driving in the rain and reduces the risk of aquaplaning. At the same time, the shoulder grooves disperse the water to the outside, away from the contact patch, to achieve even better grip on wet roads. For driving on dry roads, the tire developers have taken their lead from sports tires. The resulting asymmetrical tread geometry with rounded corners adds stability to the individual tread elements when cornering, delivering more precise handling and more grip. On wet roads, sipes with beveled edges afford extra grip and provide more effective drainage for the tread. Continental has begun volume production of the first tires for the replacement market. By March 2019, 112 items for 13 to 22 inch rims are to be available; the EcoContact 6 will be produced in tire widths from 145 to 315 millimeters with aspect ratios between 80 and 30 percent. The tires are approved for speeds up to 300 km/h, corresponding to the speed index “Y”.